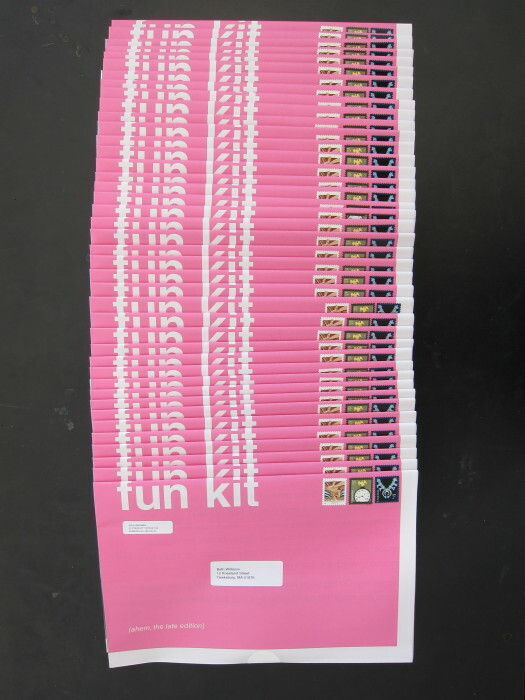 The front cover of the 2013 Complete Holiday Fun Kit. 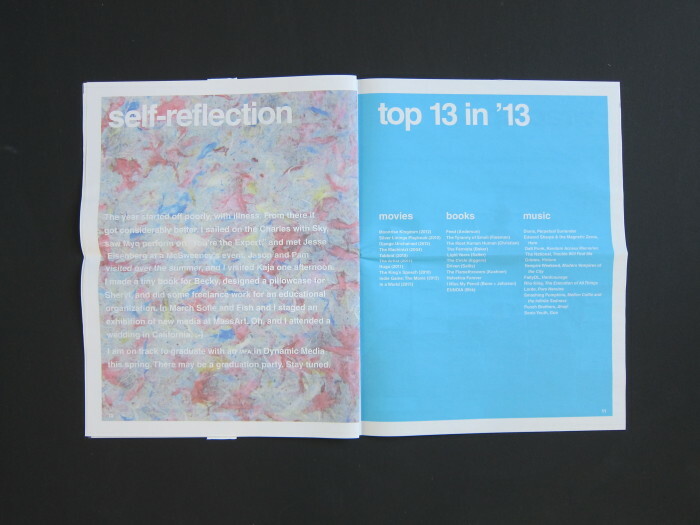 A purely typographic spread of the 2013 CHFK. 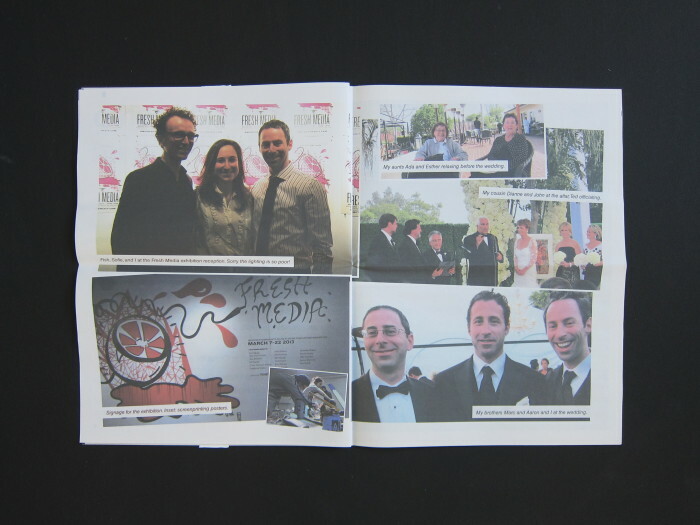 A spread of the 2013 CHFK. 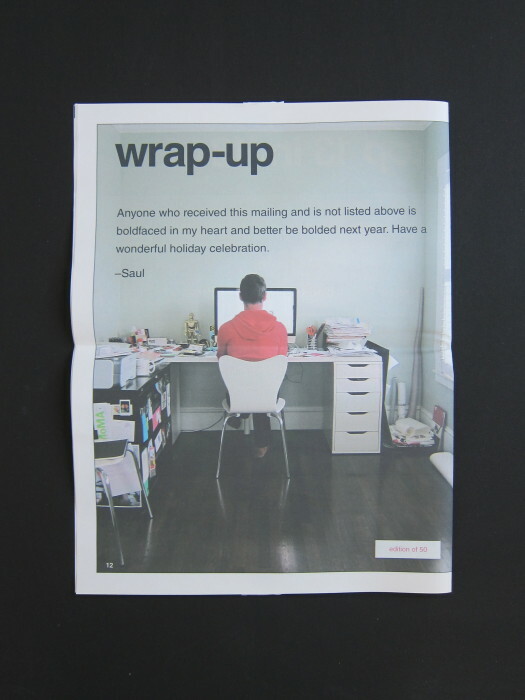 The back cover of the 2013 Complete Holiday Fun Kit. Fifty copies were printed. Here is the stack of them after they arrived in the mail. 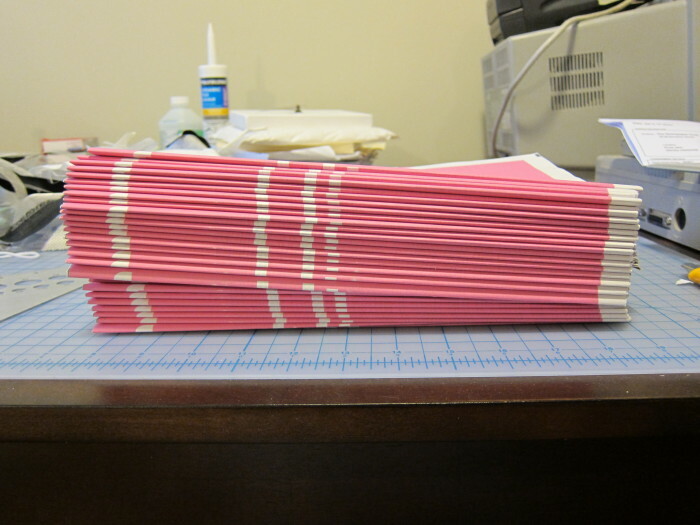 The CHFK needed to be stamped, addressed, and sealed prior to mailing.